Cancer of the blood cells, mostly forming in bone marrow. 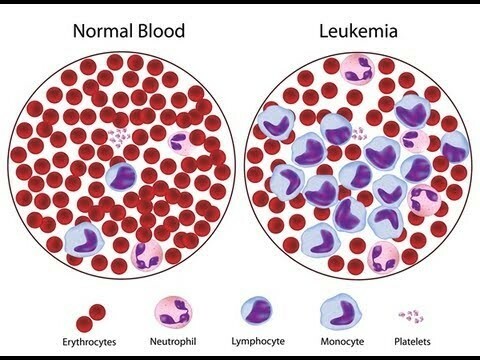 This diagram shows how normal blood cells should look rather than blood cells that are cancerous in specific leukemia. 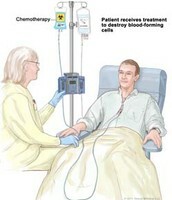 This picture shows a nurse taking care of a patient by using one of the ways to help battle cancer, especially leukemia. 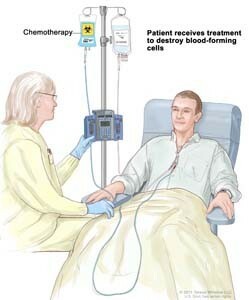 Chemotherapy is the use of chemicals to fight it off which include cytoxic and other drugs. Diagram shows where the cancer can be found in the bone marrow.